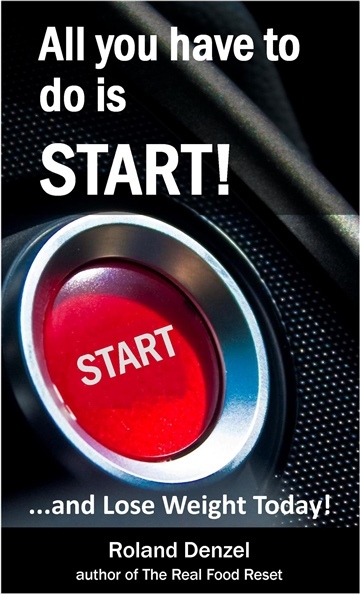 Lose Weight Today - All you have to do is START! Hi, my name is Roland Denzel, and I used to be fat. Like I said above, I used to be fat, but now I'm not. I lost a lot of fat and a lot of weight, and I've kept it off for over ten years now. In those ten years, I've learned a lot, and my quest to get fit and trim has morphed into a passion for fitness and nutrition that I didn't know I had hidden inside of me. That passion has led to competing and training in Kettlebell Sport, in addition to becoming an IKFF certified kettlebell coach. As someone who's always been passionate about food and cooking, I'm proud to say that my weight loss journey has also spawned an interest in healthier eating. I'm a self-taught cook, unless you count Sunset Magazine and Julia Child, but a large part of my nutritional education comes from Precision Nutrition, where I got my certification as a Precision Nutrition Coach. I lost 75 pounds - It's really not that simple, although it sounds good in my elevator speech. "I lost 75 pounds" is enough to start a conversation.I did lose 75lbs, of course, but I've since added some muscle, and today I'm about 200 pounds, but leaner than when I was at my all time low of 160. Yes, I lost fat and gained muscle, so the actual weight loss claim is problematic. In fact, if I go by pure weight and my all time, but short lived, high of 275, I've lost 110 pounds! You can read my other work at EatWellMoveWell.com.